Yesterday night was the NIGHT that I was waiting for a long time, the Oscars are my favorite ceremony ever ! I only slept 4 hours, I'm so tired but I don't care, the Oscars were awesome ! Ellen was hosting the event and she was fabulous and funny as usual, I want her to host the Oscars every year from now because she's simply the BEST. My baby Jesus, Jared Leto won his oscar and I'm so proud of him, it was so well deserved, nobody could have deserved that oscar more than him, his touching speech was the best speech of the Oscars history, I'm still crying. GOD ! Some moments of the show will be unforgettable, the famous selfie that is making the internet crazy right now, I wanted Jared Leto and Meryl Streep in a same pic and that dream came true ! The pizza moment was also awesome, Jared and Meryl eating a pizza was the most amazing thing ! She looks stunning in her Calvin Klein dress and her hair is perfect. I love the color of that dress, that electric blue goes so well on her, thanks Gucci ! And here's the Queen of everything ! So simple but so chic, she's fantastic, she has been wearing Lanvin for 3 years now just for the pleasure of our eyes. 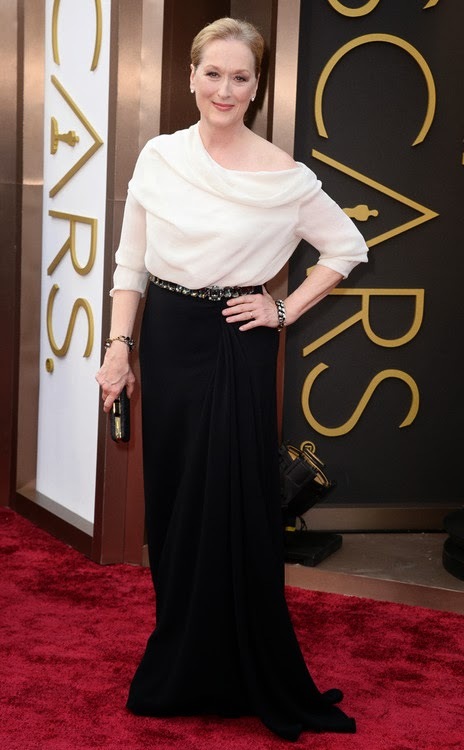 She's 64 but she looks like 40, stop doing that to us Meryl ! 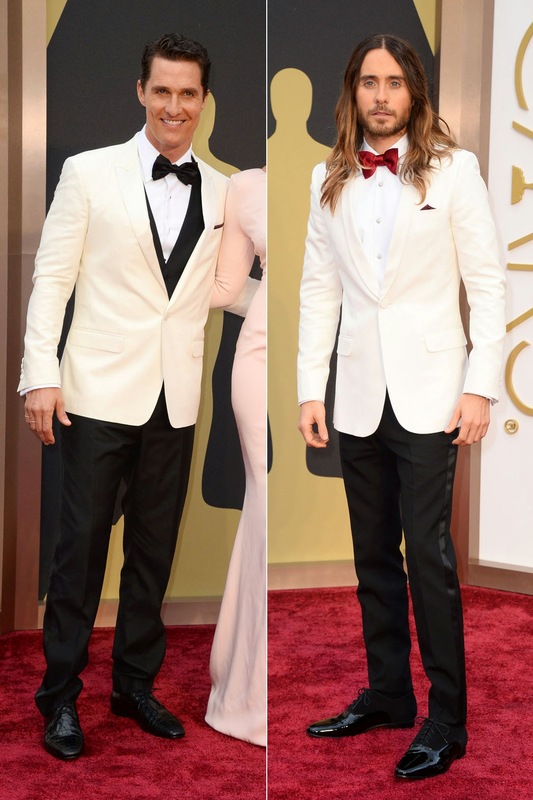 The two most handsome, sexiest guys at the Oscars ! White on mens OMG ! We should make a law about forcing men to wear white ! What's your favorite outfit ? I follow you on GFC and Bloglovin :) I'm waiting your follow back! Lindos os looks de todos! 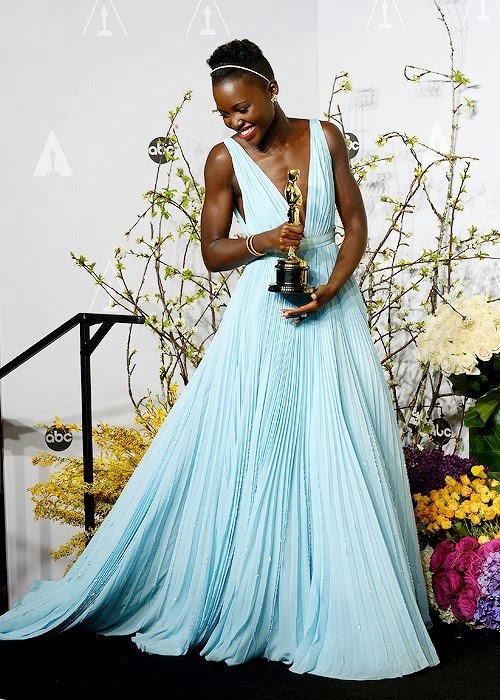 J'aime beaucoup ce poste ,J'adore la robe de Lupita! Tu voudrais qu'on se suis on Gfc,suis moi et je suiverais de retour! Very beautiful gowns they're wearing! I loved that you included the men in this too! I like white blazers instead of black. I'm following on GFC, I'd love if you could swing by my site as well!